This development is a prominent building with blue roof tiles. 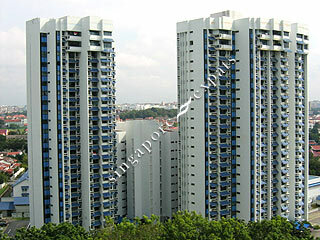 It is directly opposite Mandarin Gardens and 5 minutes to the Siglap vicinity. It is also near the airport with the use of the East Coast Parkway (ECP). This condo is 5 minutes walk away from Siglap Shopping Mall and 5 minutes drive from Parkway Parade. It is also near the East Coast beach, seafood restaurants and eating outlets via the nearby underpass. Quiet and peaceful residence. Decent sized pool and walking distance to eateries along siglap. Wonderful and peaceful place to live in. With Siglap centre just down the road, really convenient.